This page features a free printable Map Of Ohio. 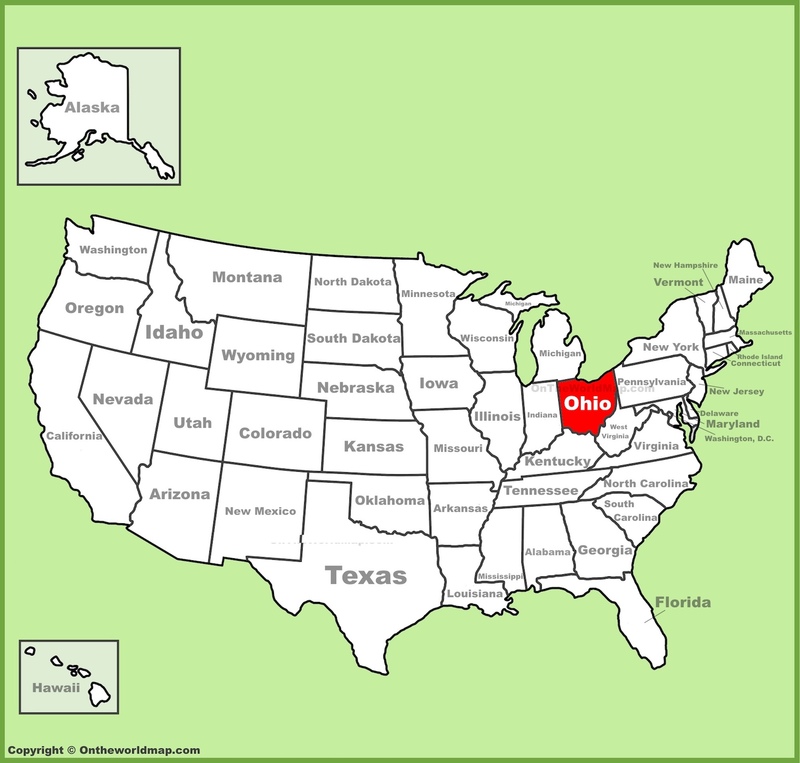 The above US map shows the location of the state of Ohio in relation to other US states. On March 1st of 1803, Ohio became the 17th of 50 states admitted to the Union. Scroll down to find fascinating facts about the state of Ohio. Famous people born in Ohio include 7 US Presidents: Ulysses Grant, Rutherford B. Hayes, James Garfield, Benjamin Harrison, William McKinley, William Howard Taft, and Warren Harding. No less than 25 NASA astronauts were born in Ohio, including Neil Armstrong, John Glenn, and Kathryn D. Sullivan. The state of Ohio sports the only state flag that is not rectangular. The State Flag Of Ohio is shaped more like a pennant. The cash register was invented by James Ritty of Dayton, Ohio in 1879. America's first ambulance service was established in Cincinnati in 1865. The state of Ohio is one of the nation's top producers of tomatoes. There's a 7-story office building in Newark, Ohio that looks like a Giant Picnic Basket. The building is home to the Longaberger Basket Company. The city of Cleveland is home to the Rock & Roll Hall Of Fame. Ohio is known as "The Buckeye State" because of a preponderance of Aesculus trees, which grow large brown nuts that resemble the eyes of a deer. The 10 largest cities (by population) in Ohio are Columbus, Cleveland, Cincinnati, Toledo, Akron, Dayton, Parma, Canton, Youngstown, and Lorain, in that order. Above: An enhanced google Map Of Ohio. 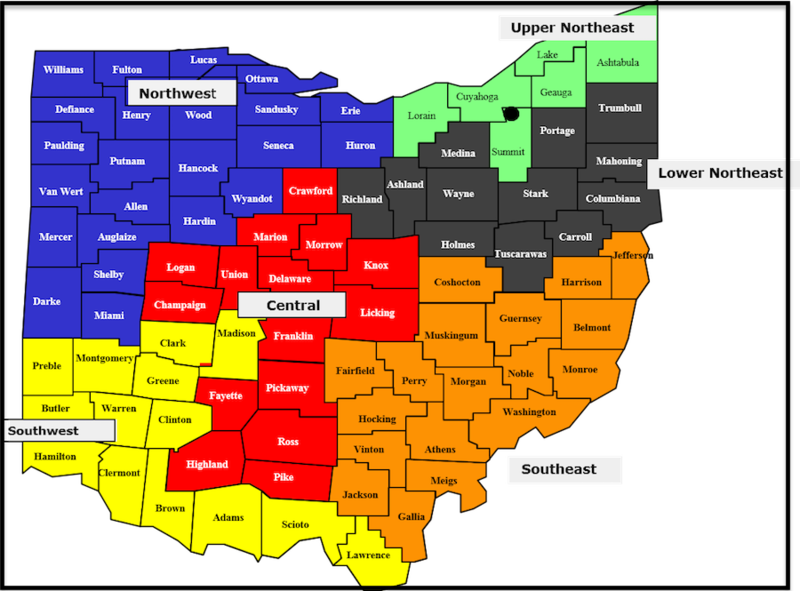 Above: A Map Of Ohio counties and regions.